Of the planeswalkers in Magic Origins, we know the least about Chandra's home plane. Jace may not remember his past, but we know he came from Vryn. We know about Vryn because we visited it in Planechase 2012. 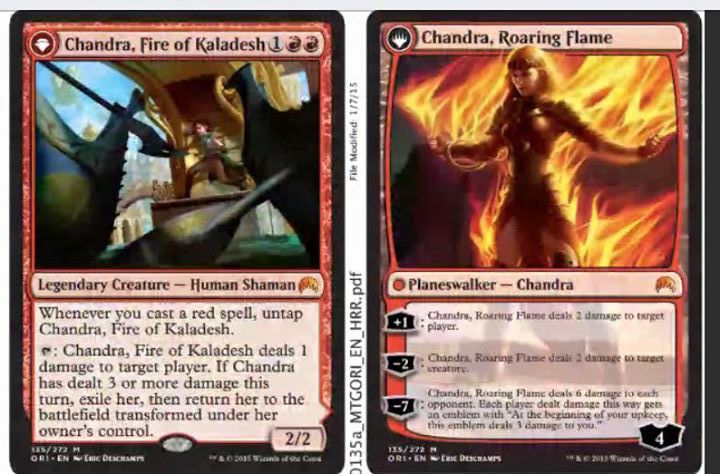 What we don't really know about is Chandra's home plane of Kaladesh. In fact, there has been no reference to Kaladesh. That's why the introduction of a "spoiler" from a website in Japan was questionable when it was first posted a month ago. Only when we found out about Chandra hailing from Kaladesh did this actually begin gaining traction. I personally like to believe it's the real card, but it might just be a rough copy. So that's the first mention of Kaladesh, but what about Regatha? Well, there are two cards, one of which you'll recognize from a recent core set.